This new villa in La Romana has 2 bedrooms with fitted wardrobes, a bathroom, living room, dining area, fitted kitchen and covered terrace on the ground floor to enjoy the green mountain views. On the floor / underbuild (with separate entrance) is everything ready to finish a 2 bedrooms, living room, kitchen and bathroom. 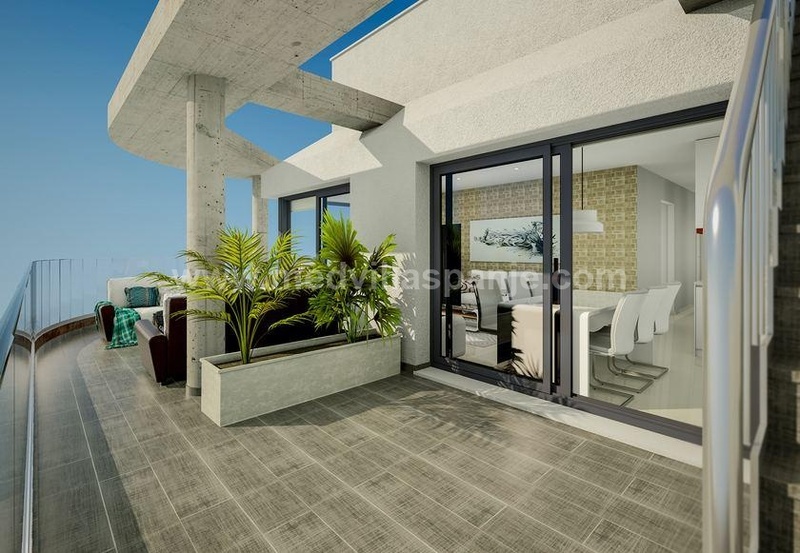 Above you find a beautiful solarium, tastefully tiled, the ideal perfect place to sunbathe and enjoy the view. This is the perfect place for people who would like to have a new home with a limited budget. Opposite the villa there is a beautiful restaurant / bar called Mirador and the charming town of La Romana is a short walk along a paved and illuminated sidewalk. The city has 2 banks, several bars and restaurants, cafes, shops and a sports center with a large outdoor swimming pool and lawns to enjoy the typical Spanish lifestyle.